evening last week to write a script, deviding the contents and take in account when a new music theme kicked in. 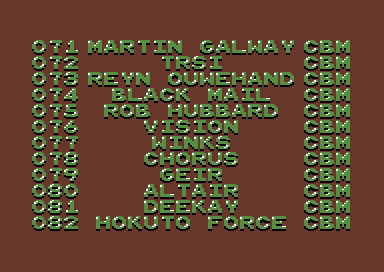 Made with passion and love, as a surprice and to support Datastorm and the c64 scene! Keep on rocking! Were all oldskool heroes! Greetz to all friends and contacts all groups and persons everybody on csdb and if anyone is still forgotten to you to!